Super injunctions, Harigate, the end of the News of the World, revelations over the hacking of Milly Dowler’s phone – 2011 was a momentous year for the British press. On 21 January 2011 former News of the World editor Coulson announced he was resigning as Downing Street director of communication amid the escalating row over phone-hacking, which he said had become a distraction form his job. Unfortunately, continued coverage of events connected to my old job at the News of the World has made it difficult for me to give the 110 per cent needed in this role. I stand by what I’ve said about those events but when the spokesman needs a spokesman it’s time to move on. Five days later the Metropolitan Police announced it was launching a fresh investigation into tabloid phone-hacking – after receiving “significant new information” – called Operation Weeting. 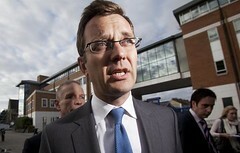 On 8 July Coulson was arrested on suspicion of phone hacking and illegal payments to police, and in September launched legal action against the defunct newspaper’s publisher News Group Newspapers regarding the termination of the payment for his legal action. This week he lost his case at the High Court. On 10 April the News of the World issued an unprecedented page-two apology for hacking people’s voicemail messages, while its sister title The Times reported that a £15m compensation fund had been set up to settle civil claims. It is now apparent that our previous inquiries failed to uncover important evidence and we acknowledge our actions were not sufficiently robust. Days later some of the UK’s leading media lawyers told Press Gazette that the apology could ‘open the floodgate’on new civil claims from celebrities and politicians. Two days before, Scotland’s Sunday Herald became the first first mainstream media organisation to reveal Giggs was the Premiership footballer at the centre of the privacy row. In an interview with Press Gazette the newspaper’s editor Richard Walker said he had ‘contacted as many lawyers as I could muster’and admitted that it ‘took a while to have that comfort that it [the injunction] didn’t apply in Scotland”. With about 75,000 people having named Ryan Giggs on Twitter, it is obviously impracticable to imprison them all. Other controversial injunctions this year included a ‘leading actor” and former RBS chief executive Fred Goodwin. Goodwin’s injunction was eventually lifted on 19 May but the identity of his secret lover remains under an anonymity order. One individual in court proceedings over the risk of toxic materials leaching out of a paint used to coat drinking water tanks was silenced by a what became known as a “hyper-injunction” – which even banned him from talking to an MP. Lord Neuberger’s much-anticipated report published in May stated that all media who are made subject to injunctions must be informed beforehand under a confidentiality agreement – and that super-injunctions and other injunctions “can only be granted when they are strictly necessary”. On 5 April the News of the World news editor Ian Edmondson and chief reporter Neville Thurlbeck were arrested by officers from Operation Weeting, the phone-hacking investigation set up by the Met in January. One week later another former news editor, James Weatherup, was also arrested. Over the next few months this was followed by a steady stream of arrests that included former editors Andy Coulson and Rebekah Brooks, US-based showbiz reporter James Desborough, jailed former private investigator Glenn Mulcaire, former managing editor Stuart Kuttner, and former deputy editor Neil Wallis. There have so far been 18 arrests including News of the World royal editor Clive Goodman and ex-news editor Greg Miskiw. In July the Met launched Operation Elveden, an invesitation into illegal payments to police and on 21 December it made its eighth arrest – a 52-year-old female officer from the force. Others include senior Sun reporter Jamie Pyatt, Goodman, Coulson, Brooks and a 63-year-old man who has not been identified. In June the Met launched a new probe into allegations of phone-hacking called Operation Tuleta and on 24 November officers from the unitmade their first arrest – a 51-year-old man who has not been named by police. On 5 July The Guardian revealed that the News of the World had targeted the voicemail messages of missing teenager Milly Dowler, a story widely credited as being among the biggest media stories in decades – and one of the biggest stories in The Guardian’s history. Within weeks it had triggered a spate of arrests among former News of the World staff, the collapse of News Corp’s bid to buyBSkyB, the closure of the 168-year-old newspaper and the establishment of the Leveson Inquiry into phone-hacking and press standards. Among one of the most devastating claims in the story was that journalists from the newspaper had deleted voicemail messages from Milly’s phone – which her parents later said had given them false hope that she was still alive. Earlier this month, however, The Guardian ran a story which cast doubt over this version of events, revealing that police logs raised questions over who exactly deleted the emails. The Met then claimed it was ‘unlikely’the messages were deleted by the NoW – and could have been erased automatically. 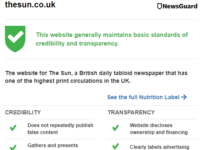 The revelation led to widespread criticism of The Guardian – including from former NoW managing editor Richard Caseby, who accused the paper of ‘sexing up’its coverage of the scandal. 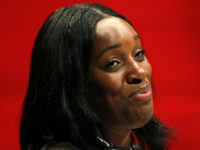 Davies later admitted on the BBC’s Newsnight that the story contained a ‘very significant’error. 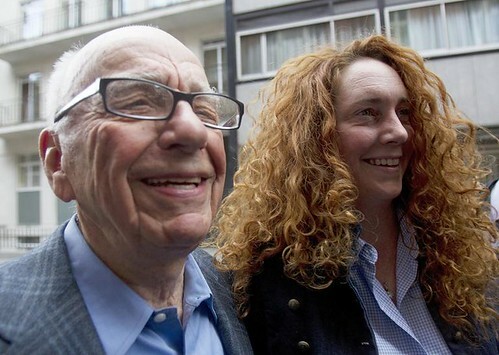 In October, News Corporation Rupert Murdoch announced he was personally donating £1m to charities chosen by the family of Milly Dowler as part of a £3m compensation settlement. After 168 years and 8,674 editions, the News of the World said a ‘sad but very proud’farewell to readers with the words: ‘Thank You & Goodbye’on 10 July – five days after it was revealed the paper had hacked the voicemail of Milly Dowler. We praised high standards, we demanded high standards but, as we are now only too painfully aware, for a period of a few years up to 2006 some who worked for us, or in our name, fell shamefully short of those standards. Quite simply, we lost our way. Phones were hacked, and for that this newspaper is truly sorry. On 13 July News Corp announced it had withdrawn its bid to buy the 61 per cent stake in BSkyB that it did not already own – just hours ahead of a Commons vote which was expected see a majority of MPs reject the deal. The takeover bid officially began in November 2010 and by appeared to be a done deal, but opposition to the bid took off after the Milly Dowler phone-hacking revelations. On 11 July it suffered a major setback when Culture Secretary Jeremy Hunt announced he was seeking fresh advice from regulators Ofcom and the Office of Fair Trading, and the bid was due to go before the Competition Commission. We believed that the proposed acquisition of BSkyB by News Corporation would benefit both companies but it has become clear that it is too difficult to progress in this climate. 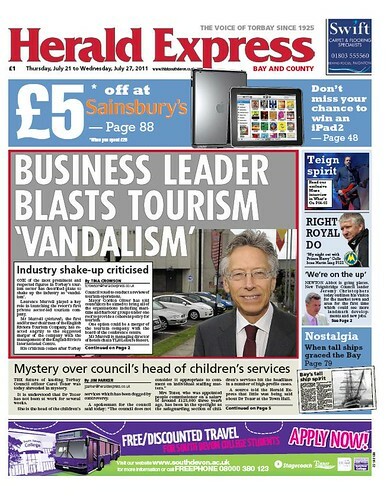 On 17 June Northcliffe Media announced the Torquay Herald Express was switching from a daily to weekly publication with the loss of around half of its editorial staff. By the time the year was over another three Northcliffe titles and one Trinity Mirror paper had followed suit. This is not about greed – this is about it not being a sustainable business. The most important thing is there’s a Herald Express going forward. A month later the Scunthorpe Telegraph announced it was making the same move, followed by the Exeter Express & Echo and the Lincolnshire Echo. On 24 November the Liverpool Daily Post announced it too would be making the switch in the New Year. After saying this, he falls silent, and we stare at each other for a while. Then he says, in a quieter voice: ‘The facts are clear. Israel has no real intention of quitting the territories or allowing the Palestinian people to exercise their rights. No change will come to pass in the complacent, belligerent, and condescending Israel of today. It was revealed the quote was in fact lifted word-for-word from one of Levy’s earlier articles. Hari at first denied accusations of plagiarism but apologised for committing an ‘error of judgement’– but over the following days he was hit by more serious allegations. These included claims that he had inserted quotes into his interviews that were written by other journalists, which resulted in the George Orwell Prize launching an investigation into the claims. On 12 July, The Independent’s new editor announced that Hari had been suspended from the newspaper pending an internal investigarion. Before he was replaced on 1 July, the paper’s previous editor Simon Kelner had insisted the row was no ‘great scandal’and that Hari remained a ‘serious force for good in the world”. On 15 September The Independent announced Hari would be reinstated next year despite admitting to plagiarism, making up quotes and using a fake name to write malicious entries about people on Wikipedia. Andreas Whittam Smith, the former Independendet editor who carried out the review, recommended that Hari be allowed to return to the paper next year after four months unpaid leave – during which time he will undertake a period of journalism training at his own expense. The day before, Hari had returned the 2008 Orwell Prize – though organisers said he would been have been stripped of the award if he hadn’t chosen to hand it back. On 29 July, Joanna Yeates’s landlord Chris Jefferies accepted “substantial” undisclosed libel damages from eight newspapers over allegations made against him over her death. The retired schoolmaster took legal action against the publishers of the Sun, the Daily Mirror, the Sunday Mirror, the Daily Mail, the Daily Record, the Daily Express, the Daily Star and the Scotsman. 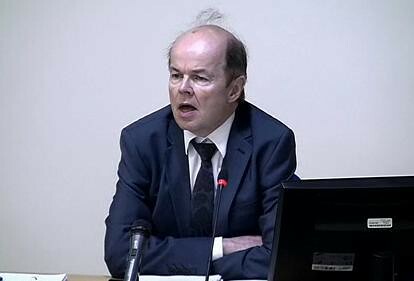 Christopher Jefferies is the latest victim of the regular witch hunts and character assassination conducted by the worst elements of the British tabloid media. Many of the stories published in these newspapers are designed to ‘monster’ the individual, in flagrant disregard for his reputation, privacy and rights to a fair trial. In May the High Court granted the Attorney General’s Office permission to bring contempt of court proceedings against The Sun and the Daily Mirror over their coverage of Jefferies. Giving evidence to the Leveson Inquiry last month, Jefferies said he would never recover from the ordeal of being vilified in the press. In September, 27-year-old Rebecca Leighton, who spent more than six weeks in custody after being arrested by police investigating suspicious deaths at Stepping Hill Hospital in Stockport, announced she was planning to sue national newspapers over prejudicial coverage following her arrest. On 22 November the Attorney General Dominic Grieve won permission to bring contempt of court proceedings against the Daily Mirror and the Daily Mail over their coverage of Levi Bellfield’s conviction for the murder and abduction of Milly Dowler. 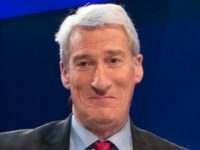 In early December, Grieve warned news organisations that they will face prosecution if they publish material which could prejudice court proceedings.